Gifting on Valentines Day is like cutting a cake on your birthday. Yes, its the norm dear friends! Without a proper gift, how can you possibly get on your knees and declare your love for that special lady in your life? Well, I am a lady, and love it when my man showers me with well thought out and handmade gifts…yeah…DIY pops up here again! 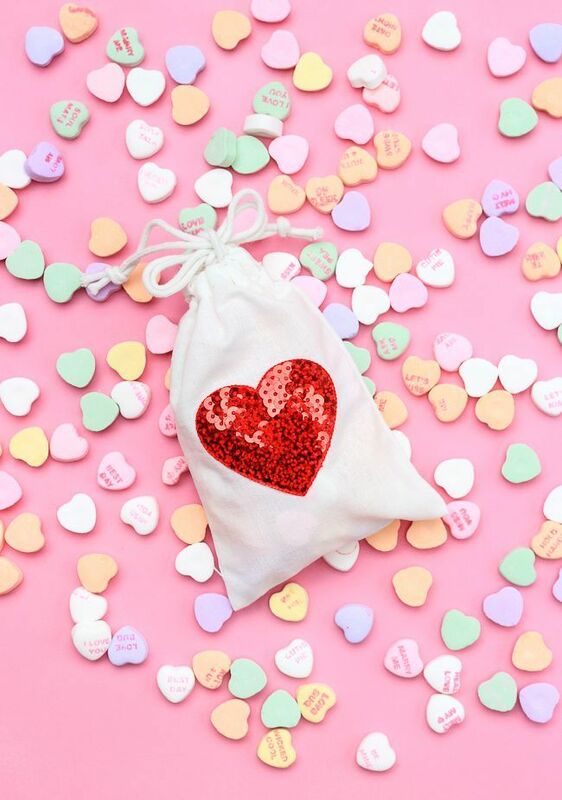 Friends, Valentine’s Day is a day when you celebrate love, and trust me, there cannot be a better way to make your lady feel special than gifting her your own handmade treats and little somethings. Hence, today, I will be helping guys create romantic gifts for their ladies by rounding up 41 DIY Valentines Day gift ideas. So, are you jazzed up for this awesome round up? Let’s begin! The Japanese invention of origami has paved the way for creating gorgeous crafts and gifts out of the humble paper. Thanks to them, we can now make our own paper crafts without spending a bomb. Origami crafts and gifts are popular worldwide because these look cute and are the perfect way to make your declaration of love. Giving a romantic card to your lady is the first step towards proclaiming your love to her. 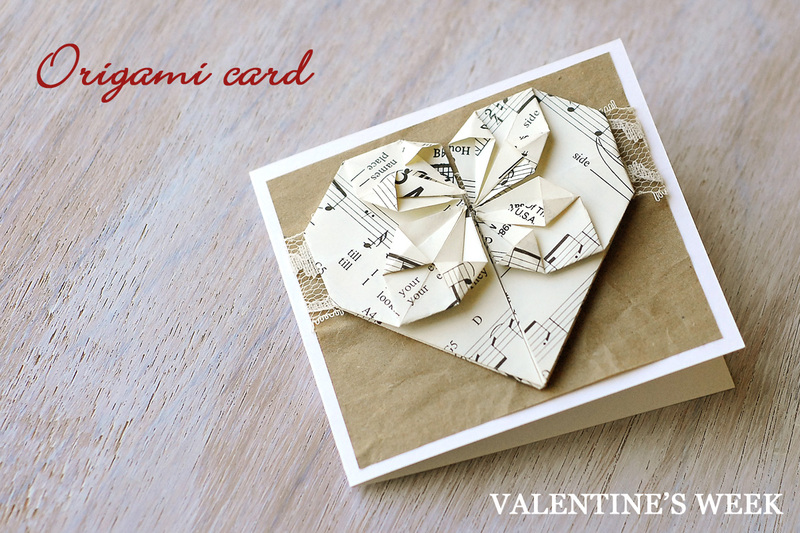 How about creating your very own origami heart card? Well, I would suggest that you do as there’s nothing that says ‘I Love You’ better than this adorable idea showcased below. These cards are simple to craft and take less time than you think. Don’t you love the two little hearts placed side by side ? Well, I am already swelling with love! What a lovely heart!! Its definitely ‘a must’ to try this Valentines Day. All you need are lace, paper and stockyard base. The musical notes on the heart make me swoon! The colors on this origami heart would melt your lady’s heart for sure. It looks classy yet expresses love from the core. Do you want to be the man that unlocks her heart? Then, what are you waiting for? Keys and hearts have always been symbols associated with Valentines Day, and there could be no better gifts than the ones that are presented below. Hence, I will suggest that you try these cute little ideas where people have created ‘key to her heart’ gifts in the most creative of ways. The ‘key to my heart in a bottle’ gift is perfect for confessing your love for someone special. All you need are a few ordinary things like a bottle with a lid, key, wire, paper, knife, glue and decorative stones. The trick is in wiring the key inside the bottle cap, but, trust me, its not that difficult. Once you have the key and the paper message roll inside the bottle, its time to decorate the base with decorative stones. Voila…you’re done. Hey…doesn’t this heart and key gift look adorable? 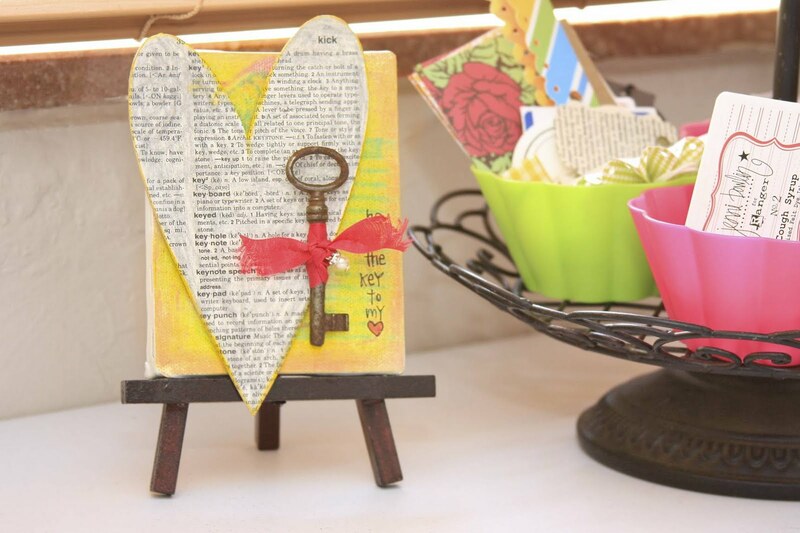 The vintage mini key with a rhinestone stud looks gorgeous together with the chipboard dictionary heart. I love this baby because its a very easy craft anyone can pull off without a hitch. Candy and chocolates are the flavor of any Valentines Day. No Valentines is complete and fulfilling unless you have chocolates handy. Apart from serving chocolates on dessert tables, you can also gift these yummies to impress your lady love. But, wait…here, you have to jump the usual bandwagon, and instead, take a U TURN towards the ‘DIY’ way. Start to think out of the box and create lovely somethings out of your chocolates. Here is one fun way to create something spectacular with your chocolates. Take your candy bars and remove their labels. Now, use your clip art and pictures to create sweet looking candy wrappers in any design that you like. For example, use bee clip art that’s very popular now a days. Add funky sayings that are your own and bring out the romantic side in front of your lady love. 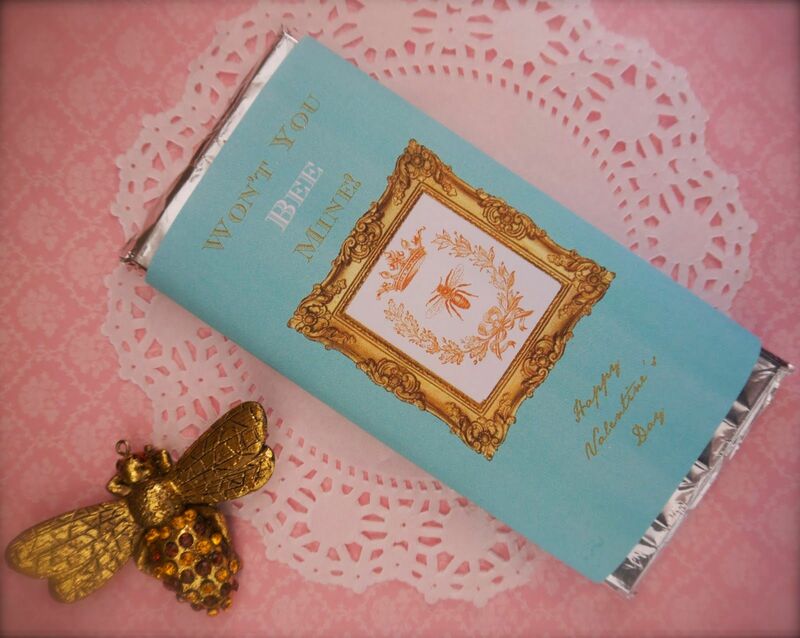 Oooo…I love these candy wrappers with bee and owls! These bars are easy to be decorated, though, may look a tad difficult. With just some ordinary tape, and printables, you can get these babies on-board! Guys..one word of wisdom here…Please don’t go the ‘teddy bear’ way when gifting your lady love this time. Why? Hmm…it will flop big time as ladies have ditched the teddy long time ago! Instead, if you want to flatter her, then, create handmade jewelry that defines your personality and expresses love in a much cheekier way! Getting confused..already? Well, look down and you’ll know what to do. Bead jewelry as seen below looks simply gorgeous, and the good news is that you can create these all by yourselves! 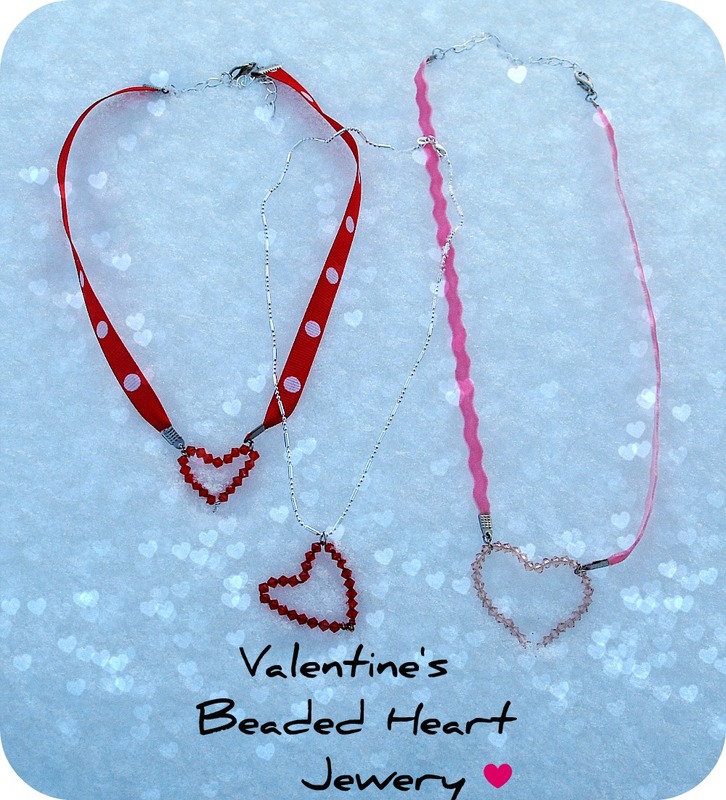 Yes, these are pretty simple to craft using things such as ribbons, beads, wire and chain. 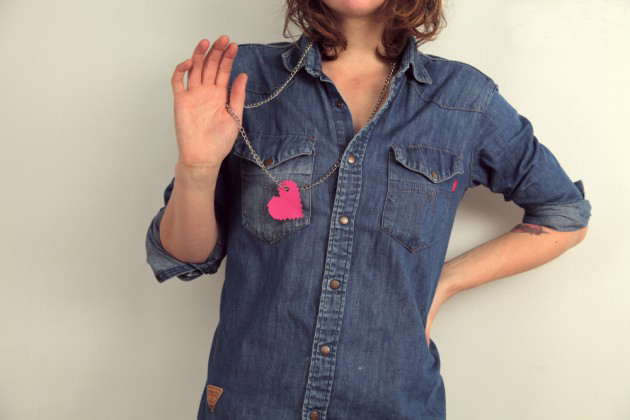 These heart necklaces will put a 100 watt smile on your woman’s lips when you gift these to her. So, a must to try. I am in love with this pink heart chain that the lady in the image is wearing simply because its a knocker among all the gift ideas. The pretty little heart pendant looks like a doll. It’s easy to craft and even a first timer can make this without any hitch. Valentine’s Day is nearing faster than you think, and hence, its time that you started planning for ways to surprise her. Want to impress her with soothing unique gift boxes? Well, you could try getting her cute Valentines gift boxes for a change this time. Just so you know, my ex once surprised me with these cuties, and, believe me, I still cherish that memory. So, don’t you too want the same for your lady? Scroll down and get some ideas. The mini boxes seen here are all DIY, and made using match boxes, paper, glitter and ribbons. These look cute and can be filled with endless number of things that your lady loves. Take for example, tic tacs, chewies, candies, or even a finger ring. 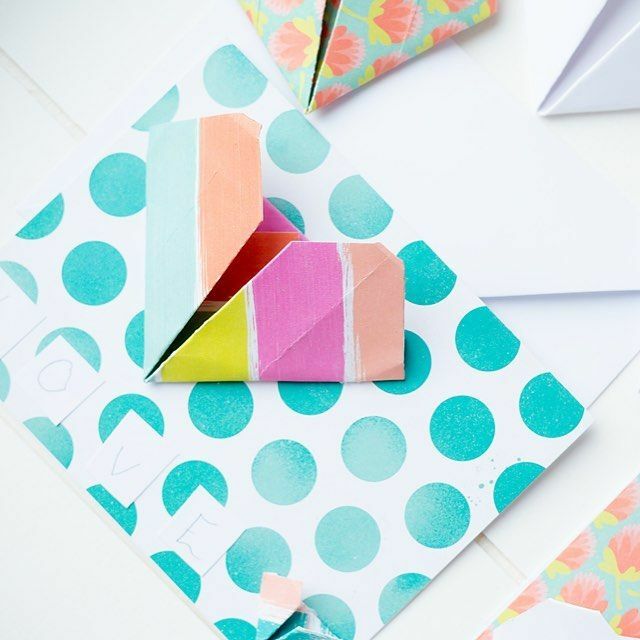 You can make use of old cards and scrapbook paper for crafting the wrappers. Hint: keep love notes inside these teeny weeny boxes for an element of surprise! Have you bought any Nuveg product lately? If so, then please don’t discard its box after you have gobbled away its yummy product. Instead, keep it for creating a unique Valentines Day gift box for your lady love! Fill the box with small chocolates and candies that she loves! Handcraft this adorable and gorgeous gift box to tuck in candies that resemble gemstones! Wow..what an idea to use! How amazing these gift boxes look…my my!! Use any kind of box for this craft and then, drape it with satin ribbons, bows, paper butterfly or anything that looks spectacular. Fill homemade bath fizzies in them. Its not the ‘gift’ that matters the most for your lady love. Its the gesture that drives her crazy for you. Hence, to drive her insane…lol..in a very positive way, here are some gift ideas that you can pull off without a blink of the eyelid. Yeah…I am talking about treat bags. There’s more to this treat bag than meets the eye. For starters, it isn’t merely a treat bag. Its made by a DIYer using his own hands and ideas. The muslin bag, he, probably has bought from a store, and the applique sequin heart design that he has used at the front simply seals its fate. Its freaking awesome! Who wouldn’t want to try these stunning Valentines Day gift ideas, honey? Well, here’s another one that goes a step further in its show of creativity! The felt treat pouch is made of felt and is totally stitched using hands. Its shaped in the form of a heart with cute pink and green front. It surely looks a stunner! Felt is a terrific material you can use to create cute gifts for that special lady you have been serenading. 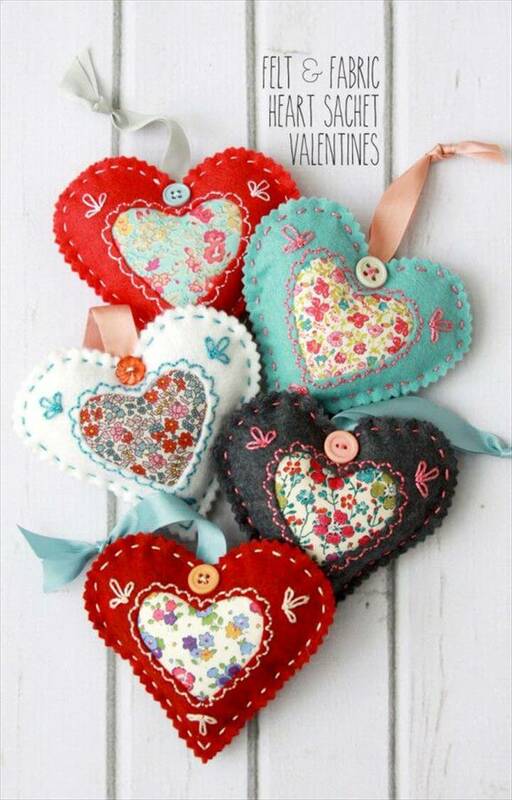 For example, try this gorgeous collection of felt hearts shown in the image here. 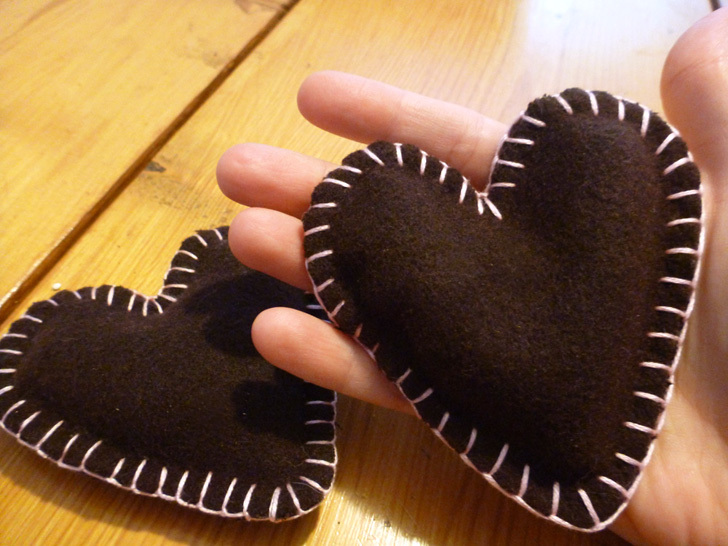 These heart sachets are made out of felt and fabric. You can embellish these hearts with baker’s twine, buttons and ribbons if you wish and then fill lavender to make them fragrant. A perfect gift for that special someone! How about picking this cutie? Its a felt envelope made entirely at home with readily available materials such as felt, thread, buttons and scissors. You can embellish the cover with embroidery thread and heart motif, and, thereafter, fill it with a personalized love letter or notes. Believe me, she’ll love it! 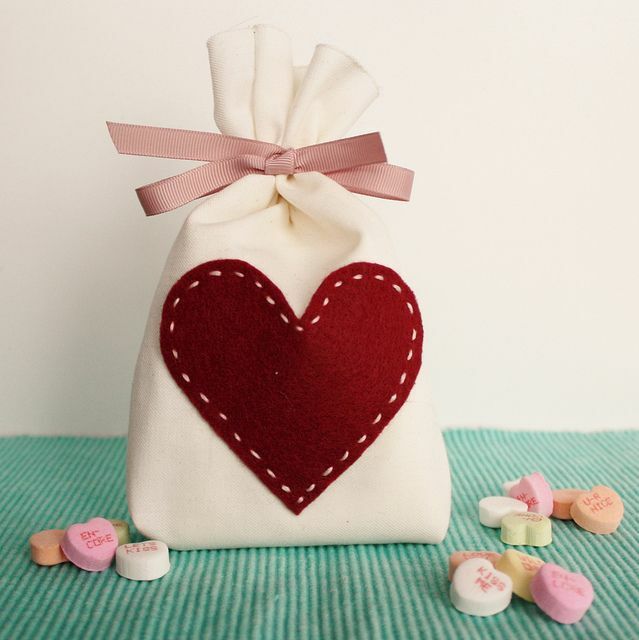 This goody bag looks very adorable with a red felt heart motif embossed on the front. This red motif lends a very romantic touch to it and makes it an apt gift for her on Valentines Day. Drape the goody bag with a ribbon and fill it up with sweet candies. Its that simple! Women love to treat themselves with aromatic soaps, spas and salts. Why not, gift your lady love a homemade soap gift or an aromatic bath salt this Valentine’s Day? Well, soaps and bath salts are not at all difficult to make at home. There are quite a few tutorials on the net that can help you guys make these. But, just to give you a head start on this, let me tell you, its all about mixing the right ingredient mister! Look below. 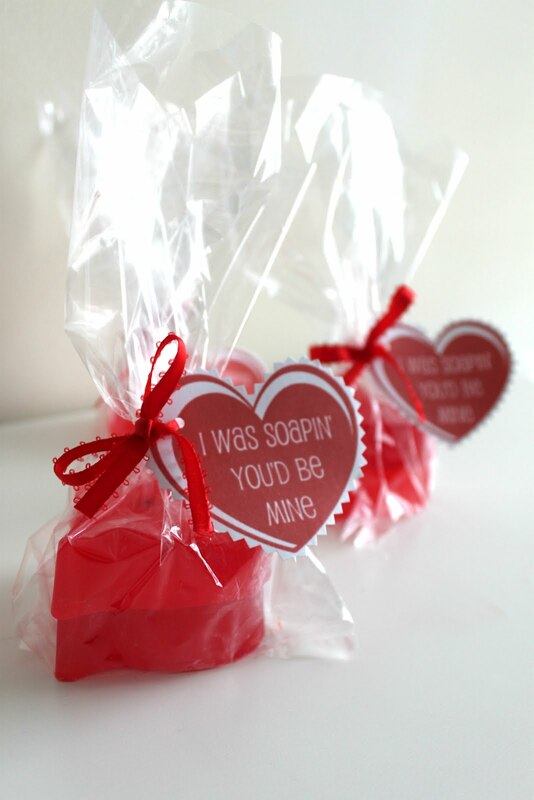 Can you imagine a lovelier gift than these red heart shaped soaps with cute wrappings? I don’t think so! These are crafted using heart molds, and then wrapped up with cellophane. You can get free tags and print these on the card-stock hearts. The gift is pretty thoughtful and am sure, she’ll love it! 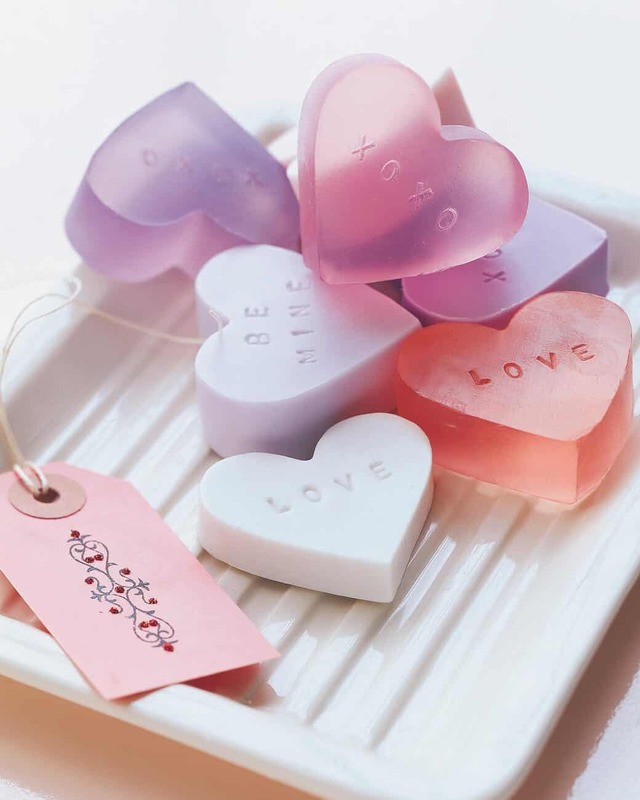 Now, who on earth will not fall in love with these cute heart shaped soaps? These are stamped with cheeky notes like LOVE, XOXO and BE MINE, words that will melt her heart. Wrap these up in cellophane bags and tie the ends with free tags. Then, embellish the tags with some glitter. Voila…awesome, right? Hey, guys, now its time for you to don the cap of Martha Stewart, and craft some romantic salty gifts for her! By salty, I don’t mean edible. OK? I am talking about aromatic bath salts, something that women worship! 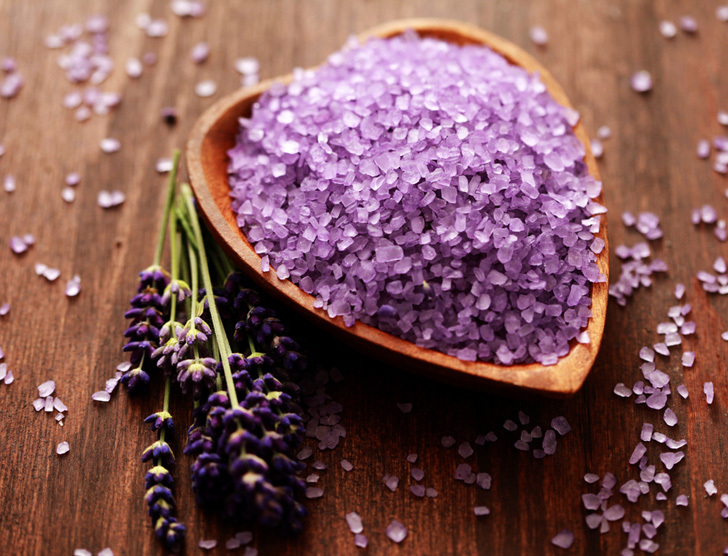 Create this stunning scented bath salt using epsom and sea salt, lavender oil, and baking soda. The salt will act as a diffuser and will spread the fragrance every where. Assemble it either in a heart shaped sachet or in a mason jar. Aren’t these bombs gorgeous? Which woman doesn’t like bath bombs? So, dearies…in order to break the ice with her, you gotta nail her with a bath bomb gift! Its super simple to make using materials that are readily available in your kitchen. Bomb her with these hearts and am sure, you will become the apple of her eyes! She will love anything that you create out of your own hands, guys! Still, if you ask me, I would suggest that you use old pictures of both of you to create unique memorabilia for her. Picture gifts can be used in plenty of ways. Some are pretty easy to create, while others may take some time. Since, there is a lot of intimacy involved with pictures, I would advice you to gift something that includes your couple pics, or pics of her’s in different styles and mood. You can craft a pop up photo box just like in the image below. The idea is to bring back old memories and is just perfect for Valentines Day gifting. The pop up box is actually a jewelry box that has been transformed into this cute gift with old wedding day pictures of the couple. Please try it for your wifey this time! She’ll go bananas! OMG! 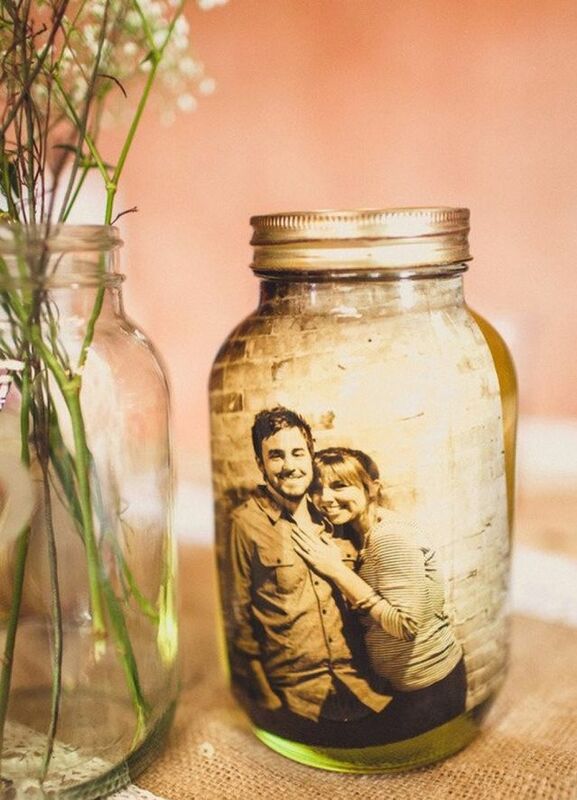 This mason jar with your couple picture has to impress her as it looks adorable. The mason jar can be used for decking up intimate spots too. Try this idea as its super simple and doesn’t need too much of work. There’s a reason why mason jars never go out of the house even when their inner portions are consumed – these make very good gift items! So, guys, instead of buying the usual candy and teddy bear gifts for her, please do something creative this time. Head towards your kitchen and search for old and discarded mason jars. You will have no problems using these jars to create awesome gits for that special lady in your life. If your girlfriend loves candy, here’s a very cute way to impress her. 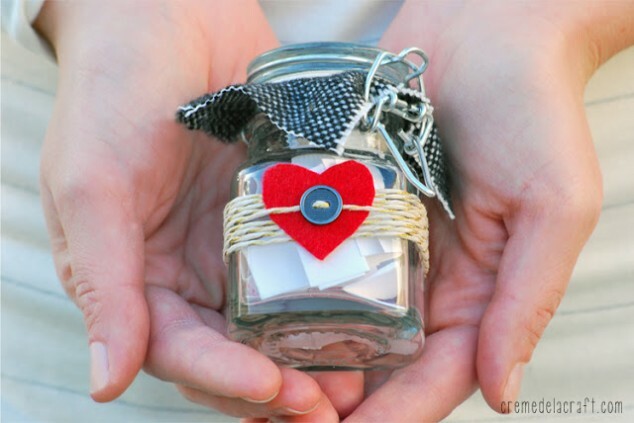 Use an old mason jar and wrap it up with a printable with cheeky notes like Hooked on you. 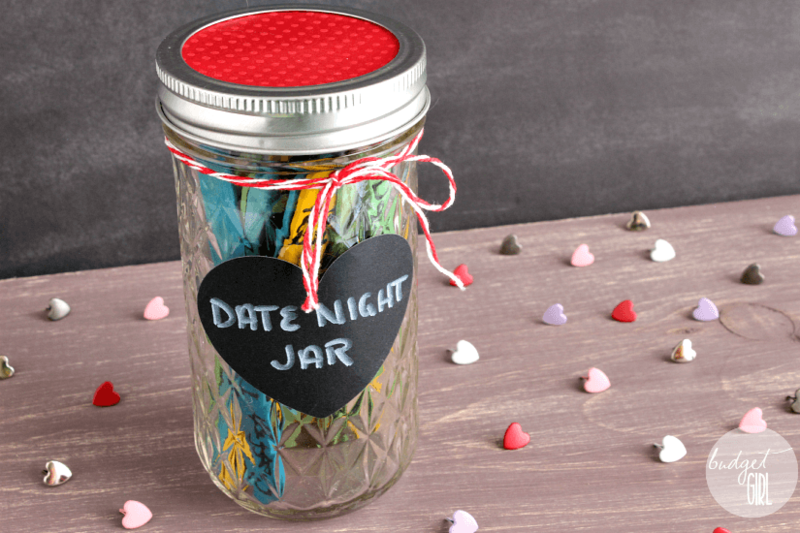 Fill the jar with colorful licorice or candy that she loves. Done! Yes, its a simple craft you can pull off without spending a bomb. Lovely to look at, these chalkboard mason jars are stealing all the limelight! In addition to using transparent jars, there is another option to paint them with chalkboard to offer a bit of uniqueness. Th decorator has painted the jars with chalkboard but has kept a spot empty for the heart design to show prominently. The mouth of the jar is tied with twine bearing a red heart pendant hanging cutely. How awesome is that! 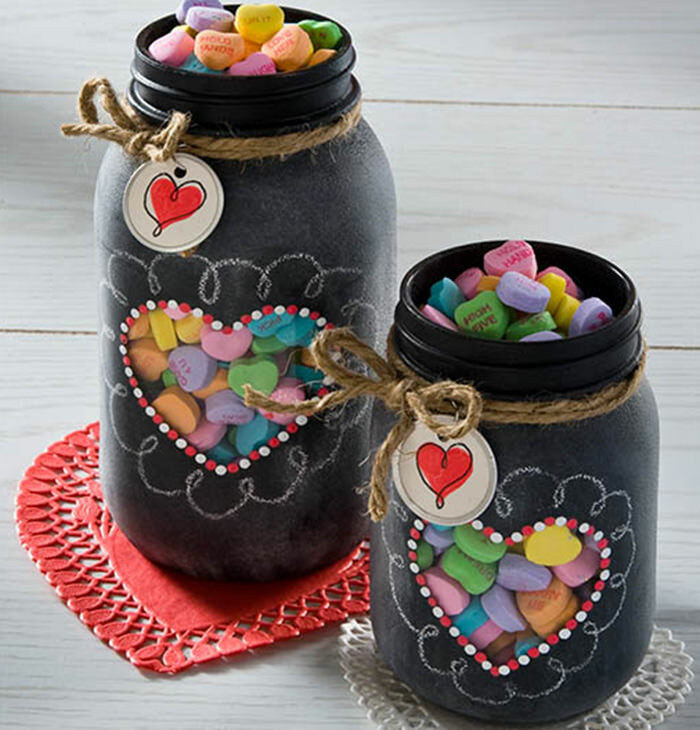 This DIY mason jar idea is one of the most creative among these Valentines gift ideas for her that you can see today. Why, you may want to ask? Well, firstly, it makes use of an old jar. Secondly, the jar is not filled with candies, but, hand dyed popsicle sticks with ‘fun things to do’ notes. The creator of this craft has taken a deep interest in transforming it into a lovely gift. Here’s a mini jar with ’10 things I love about you’ notes, and it definitely catches my attention because it is very romantic in nature. What appeals to me is the ability of the creator to use multiple accessories together in the most stunning way! Love the red heart, cloth piece, button and the twine! Mugs are pretty good for gifting, specially when these are for a lady that you love. How about trying some creative craft at home and make wonderful mug gifts for her? The best part about using mugs is that you can personalize them to any extent. Want to surprise her with a cute little handmade gift? 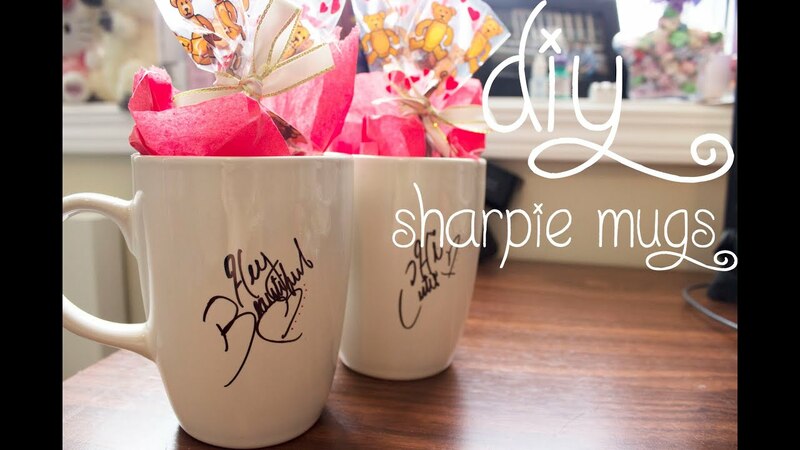 Well, make these sharpie mugs. 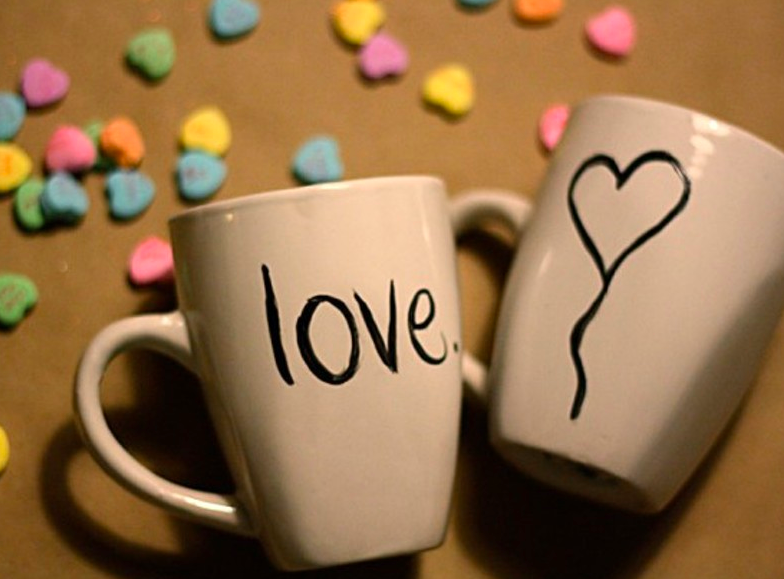 Buy white mugs, and then, using black sharpie, write something very romantic for her. Fill the mugs with candies or treats that she loves. EASY AND FAST! For lazy boyfriends, here’s a very fast and easy DIY present idea. Take a mug or mugs, and then, using freehand and sharpie, write a few words or lines. That’s it! It is perhaps the sweetest of this lot! Valentines Day gift ideas for her need not be expensive this time, what do you say? Try something different for surprising her. How about using the humble tea bag? Well, don’t just think, but scroll down to see what I have got for you! 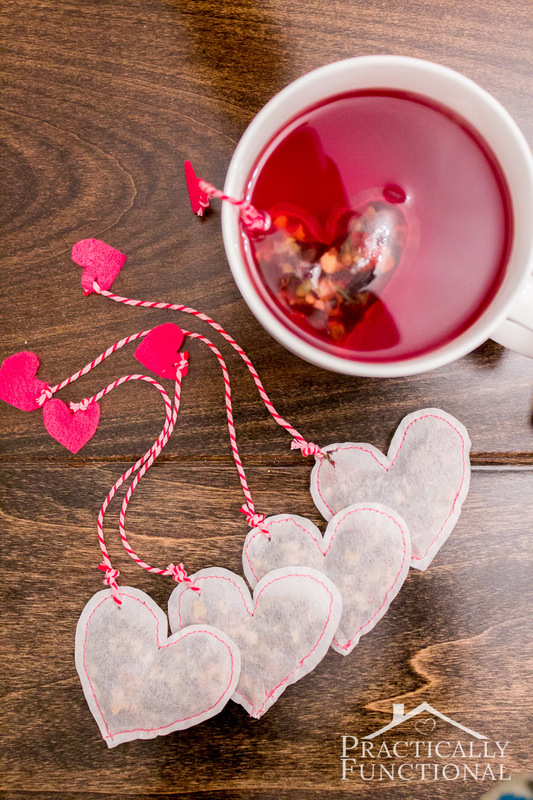 These heart shaped tea bags are pretty simple to make using fillable tea bags, tea of any flavor and felt. What I love about these are the cute little pink hearts! Because its a simple craft, its my advice that you try it! Tea bags are perfect tools to convey your feelings to your lover. Do you think you can pull this idea nicely? Well, I guess you can as its a simple craft. Use the ordinary Tetley tea bags and write personalized love notes on the heart shaped pendants. Then, fix the hearts to the strings. Is your lady love a foodie? If so, then, why don’t you gift her something that’s out of your very own kitchen? Why not bake some treat for her? Well, take the help from the ideas presented below and see which one suits you. 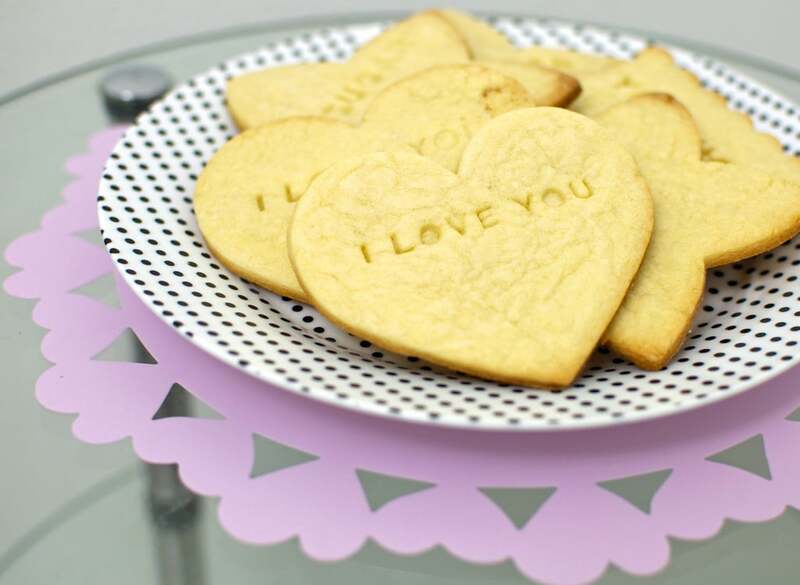 Since, conversation hearts are closely linked with the day of love, you can bake these in the form of cookies. For a surprise element, stick a note or two inside these cookies for her. When she takes a bite into it, she’ll get the secret message, and your work’s done! The peanut butter cups below look delicious and can be gifted in pretty boxes. Try this for sure as its a simple desert to cook. Guys, you do not need to burn your pockets to buy gifts for your sweethearts. You can create your very own gifts at a very little, or, no cost at all. Am I serious? Oh, yes, I am! There are myriad DIY gift ideas that are budget friendly. From simple cards, paper, bottles to woolen knits, there are umpteen number of things that you can use to craft wonderful gifts. One very adorable way to make her want you is the 52 reasons card gift shown below. Its simple, yet, will make an instant impression on your lady. Ever tried knitted Valentines Day gift ideas? If not, its not too late. 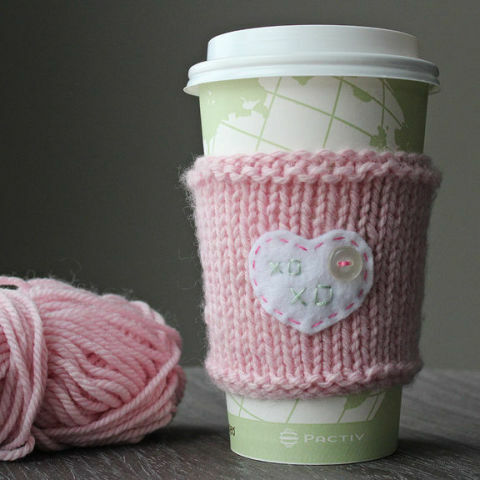 You can try this awesomely cute gift idea where a cup of cappuccino has been dressed up with a knitted cozy in pink. The felt heart is stitched on it with an XOXO message and a tiny button. How adorable is that? A bottle that houses a secret romantic message is perhaps a darling among all kinds of gifts. This is what’s shown below. Pick any bottle of your choice and dress it up with pink vinyl hearts. 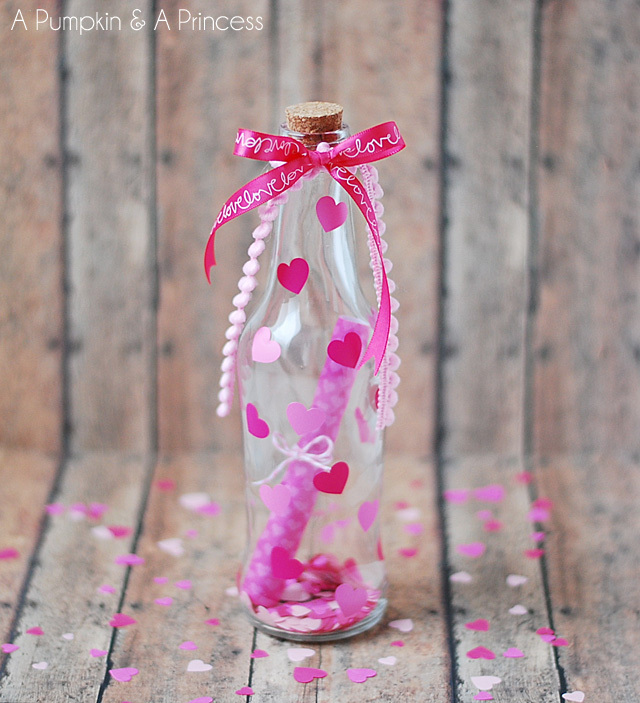 Place a few heart confetti inside the bottle along with a secret message paper roll. Tie the lid with a pink ribbon. Wow…a simple way to confess to your lady! Choose burlap to create gift or goody bags as shown here. Stamp the front portion with heart design and fill it up with candies or chocolates. Use baker’s twine to tie the tip of each bag, and you are good to go! Who knew that this idea existed? Well, I for sure, didn’t have a clue, my dear friends! Well, its a pretty neat and unique gift that anyone of you can craft at home with old things that have played an important part in your lover’s life. 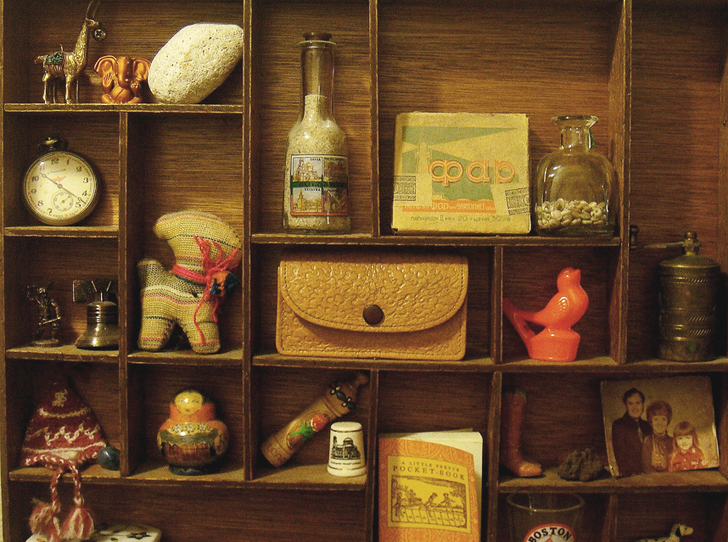 The memorabilia box looks cute with a display of a a variety of intimate things like an old picture, an old woolen cap, a clock and a whole lot of memorable things. Does your darling have a sweet little tooth? If she does, then, here’s an adorable gift meant just for her. What you will be doing here is gift her a jar filled with honey along with a dipper and a cheeky note. Its a very useful gift. Hence, worth trying. Its still very cold, and what better way to bring in some warmth than gifting your partner sweet hand warmers! 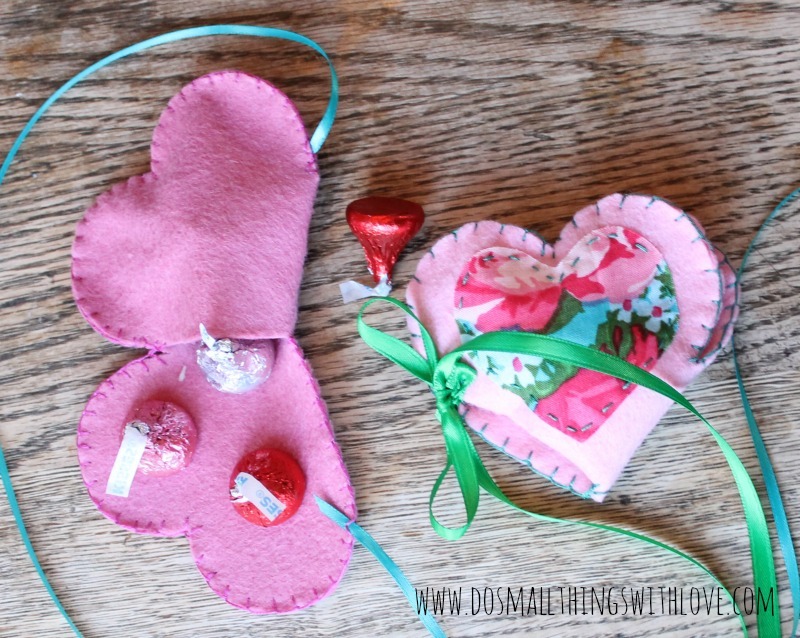 Yes, gift her a pair of felt heart shaped warmers that you can make at home. Isn’t that easy? Wow..what a crazy list of awesome Valentines Day gift ideas ! You…my dear friends…have a tricky job ahead of you to make that perfect pick for your darlings. So, all the best and have loads of fun this Valentines!